Saturday 10th March, Dorset 2018 in the Senior Silver, In singles, I faced Emily Beach. I had lost to her last month when I was not playing my best, so we determined to win this time. I managed to put in a much better performance and win 21-17, 21-18. 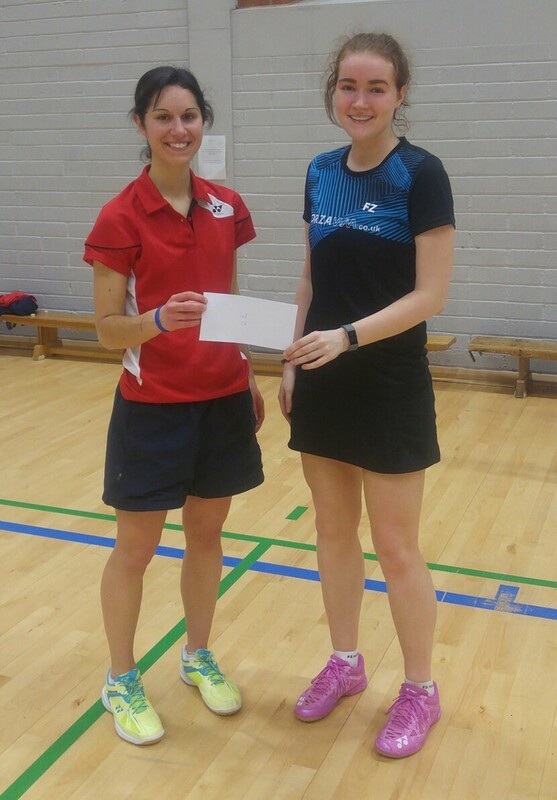 Next up was Emma Goddard who I beat 21-9, 21-14. In the semi finals I faced Chloe Hunt from Warwickshire. I had lost to her in the final of the Dorset Silver a few weeks ago in January. Unfortunately it was a repeat of last time and I lost 21-17, 21-17. In the dou bles I was playing with Lisa Elliott. We had a bye through the first round and then faced Abbie Smith & Chloe Hunt. We won the first set 21-19. After this, Chloe & Abbie stepped up their play & won the next 21-13. Then we fought back and managed to win the third set 21-14. In the semi finals we played Megan Channon & Tanya Pinto. We had played them in Devon in January and won comfortably. This match was very different and Megan & Tanya were playing a stronger and more attacking game. After a very long & tiring match, we won 21-15, 18-21, 21-14. Now we had the final against Leanne Debenham & Laura Baker. Lisa & I had run out of steam in this match and lost 21-13, 21-13. So rewarded in the Dorset 2018 senior Silver in Runner-up/Silver position.